€268.01+ Ttammy, the power box. Keeps my CPU running cool. Probably better than most bundled stuff. Enough for plenty of applications. Not much else to say. Spreads very nicely and cools better than the stock stuff. Great thermal paste, but I can't give it a 5 star because the stuff gets very hard once applied. I suggest running a stress text on your PC right before you attempt a reapply or a CPU change. It performs as well as anything on the market in it's price range, but Arctic Silver is easier to deal with and just as cheap. Since I got 2 1.5g sticks, I plan on using these in future builds. I'm sure it's better than the pre applied stuff on the H80i v2, but can't say for sure since I never tried it. Application was a bit awkward because of how stiff it is, but for the price I got it at, just thought why not. 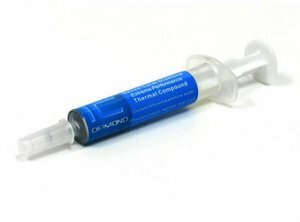 Best thermal paste I've used.